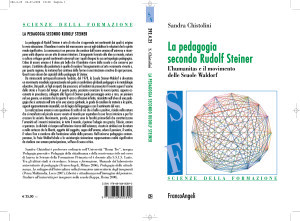 Chistolini S., Apart from the Steiner School and Montessori Methods, Homeschooling is the answer for families in the social crisis of schools, in “New Jersey Journal of Supervision and Curriculum Development”, New Jersey Association for Supervision and Curriculum Development, vol. 53, 2008, pp. 46-56. Chistolini S., Learning citizenship for the new society in Europe. Paideia and Humanitas the core of home education citizenship, in Panagiota Papoulia-Tzelepi, Julia–Athena Spinthourakis (Eds. 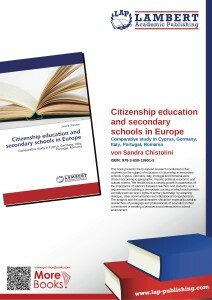 ), Proceedings of 1st South-European and Mediterranean Conference on Citizenship Education, Children’s Identity & Citizenship in Europe, University of Patras, Department of Elementary Education, Patras, April 13-14, 2007, CiCe European Thematic Network and European Association on Children’s Identity and Citizenship, 2008, pp. 61-73. Chistolini S., Oltre la Scuola Steiner e il Metodo Montessori. 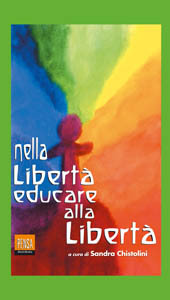 Si chiama Homeschooling la risposta della famiglia alla crisi sociale della scuola, in “Il Nodo – Scuole in rete”, anno IX, n. 30, 5 dicembre 2006, pp. 19-26. Questa voce è stata pubblicata in Miscellanea di scritti. Contrassegna il permalink.